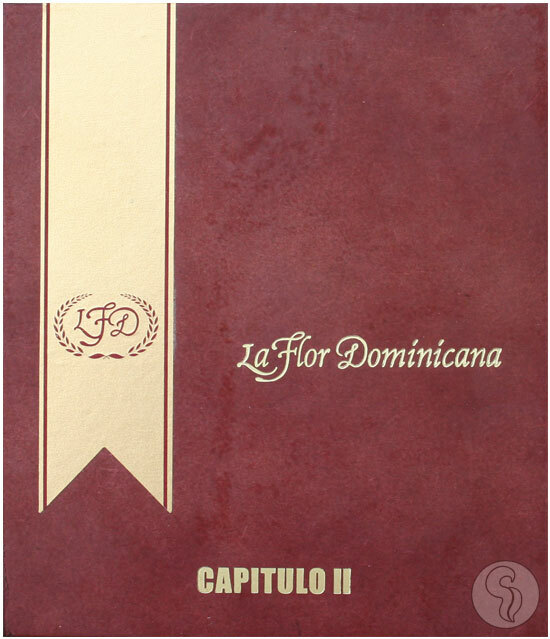 La Flor Dominicana Capitulo II Aside from their prominent position as one of the leading manufacturers of premium cigars in the world, La Flor Dominicana is well-known for their uniquely-shaped Chisel cigars. A specially-crafted shape LFD has used on limited cigars throughout the years, the Chisel is capped at the head in a tapered, flat shape - which gives the vitola its name. 2013 saw the release of the LFD Chapter One, an especially strong blend created by Antonio Gomez, son of LFD brand owner Litto Gomez. Antonio has now returned with the new Capitulo II, a limited edition 6 1/2" x 58 box-pressed chisel. The name is Spanish for "Chapter Two" - and this release builds on the theme of a strong, large, and box-pressed Chisel cigar. For this release Antonio Gomez went with an entirely new blend, using a Nicaraguan Colorado leaf for the wrapper, Ecuadorian Habano for the binder, and Dominican tobaccos in the filler. In case you haven't already guessed, this is a dark, mean cigar with a rich and oily demeanor - this thing will take you on a ride you won't soon forget!